Mint Cucumber, Pineapple and Strawberry Basil Lemonade. In a pitcher, combine the ingredients of your flavor choice. Refrigerate for at least three hours prior to drinking. 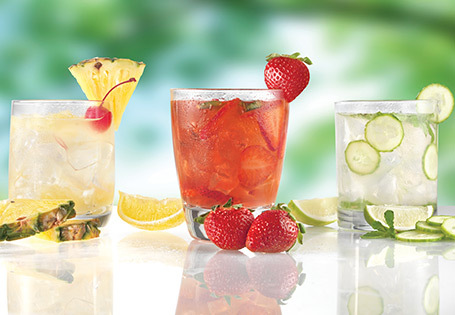 Serve over ice as a non-alcoholic drink or with 2 ounces of vodka or tequila per 1 cup lemonade.